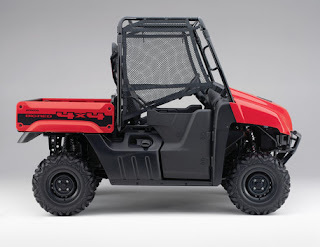 Upon its introduction the Big Red™ Multipurpose Utility Vehicle (MUV) already stood head and shoulders above all other contenders, thanks to its superior handling, secure feel, comfortable ride and its multiple patents and numerous automotive-based technology features. 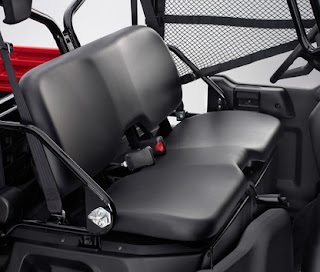 Now Big Red sports changes that allow this great MUV to work even harder while delivering more comfort thanks to its increased load carrying and towing capacity, revised suspension, contoured bench seat that allows easier entry/exit, Maxxis Big Horn tires and a Roll Over Protection Structure (ROPS) that meets OSHA requirements. Available in Red, Olive and Natural Gear® Camouflage beginning in November 2010. Cargo bed carrying capacity is increased to 1,000 lbs. 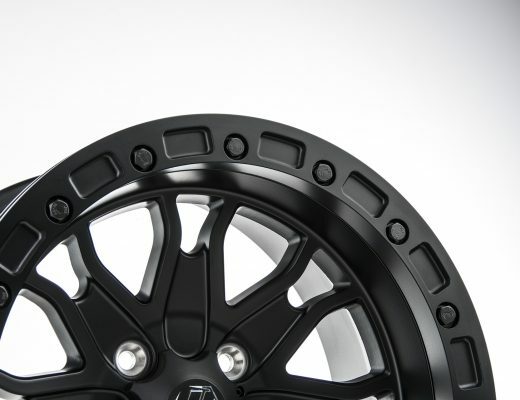 Towing capacity is increased to 1,500 lbs. Transmission: Automotive-style with hydraulic torque converter, three forward gears and Reverse. 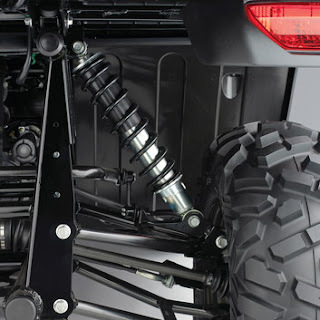 Three drive modes include 2WD, 4WD and 4WD with all-wheel differential lock.